On April 15, 2015, PT. 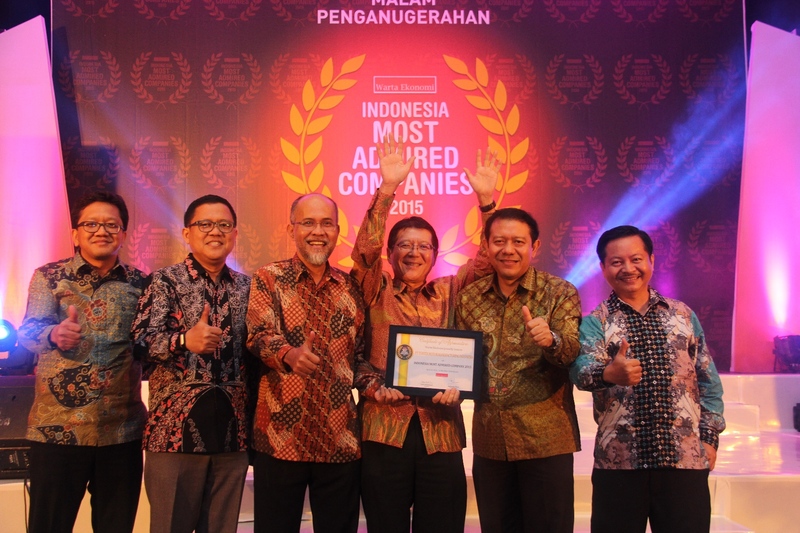 Toyota Motor Manufacturing Indonesia (TMMIN) for the first time become one of the companies that received the "Most Admired Company 2015" from Warta Ekonomi magazine. 'Warta Ekonomi Indonesia Most Admired Award' (WIMACO) is an annual acknowledgement which has been done for 14 years since 2001. The survey result shows TMMIN has the highest awareness score and also has the best corporate image based on respondents' judgement.